The term “multi-instrumentalist” is often overused but in this case it couldn’t be more fitting; Adam began playing the violin at age five and picked up the guitar at age nine. Over the years he has added the Piano, Clarinet, Oud, Side Flute and even BeatBox to his arsenal, largely teaching himself each time. 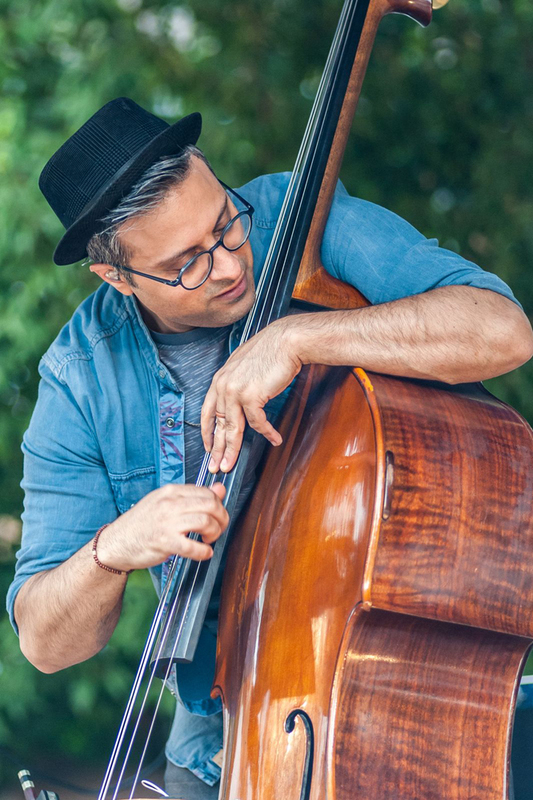 However, it was an introduction to the Double-Bass at age 16 that truly changed his life, when he instantly fell in love with the instrument’s rich sound.